A lifelong athlete, Carrie has always had an interest in training and sports. After playing collegiate basketball at Ashland University, she found the sport of triathlon as a new competitive outlet and started searching for a way to incorporate endurance training and sports into a career. She began her coaching career with Carmichael Training Systems as a triathlon, running, and cycling coach. 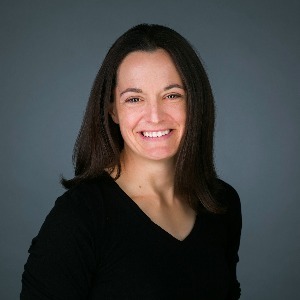 She has experience creating training plans for local and remote athletes, analyzing workout files, teaching skills at camps, and performing metabolic testing for athletes. She also has nearly 20 years of racing experience as an endurance athlete, competing in triathlon races ranging from sprint to IM distance and running races ranging from 5k to ultramarathons. She is a multiple time USAT All-American, 70.3 Worlds qualifier, and Boston Marathon qualifier. Carrie put coaching on hold for a few years to obtain her Doctorate of Physical Therapy from Georgia State University. She has also completed extensive graduate coursework in exercise physiology at Ohio University and has studied a variety of manual therapy techniques. Carrie is trained in running gait analysis, muscle energy techniques, SFMA, FMS, craniosacral therapy, and dry needling. Beginner to advanced athletes training for sprint to Ironman racing or running events. Can work with local or remote clients. Success. Coach Carrie Smith has been notified of your message.